Only a few days ago Kobani had been written off and was predicted to fall to IS fighters, even by the Kurds' closest allies. The Islamic State militants control almost entire border between Syria and Turkey so it was vital for them strategically to take control of the border town. On Wednesday and Thursday alone more than 14 bombing raids were carried out in which 16 buildings in Kobani were destroyed, sources told Haaretz. 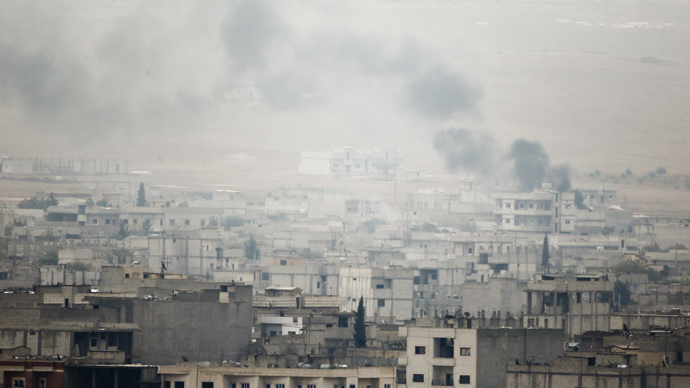 The newspaper also reported that up to 20 percent of the town may still be controlled by IS militants. The battle for the strategically-important border town has already cost the lives of nearly 600 people.